What is Computer Science Education Week? Computer Science Education Week (CSEDweek.org) is a national movement to focus on Computer Science in schools K-12 to inspire an interest in Computer Science education and careers. Computer Science Education Week is December 5-11, 2016. If you are still looking for activities to do for Computer Science Education week within your classroom, there is still time to get it organized! Hour of Code from Code.org is the hallmark of Computer Science Education Week. Millions of students and teachers across 180 different countries come together on a single day, committed to doing an hour of code. 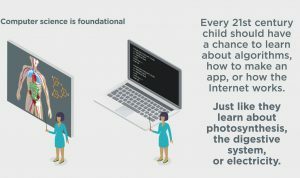 Code.org provides teachers with all of the resources they need to have an in-class project, regardless of their own experienced in Computer Science. During Computer Science Education week, an Hour of Code activity that should absolutely include! 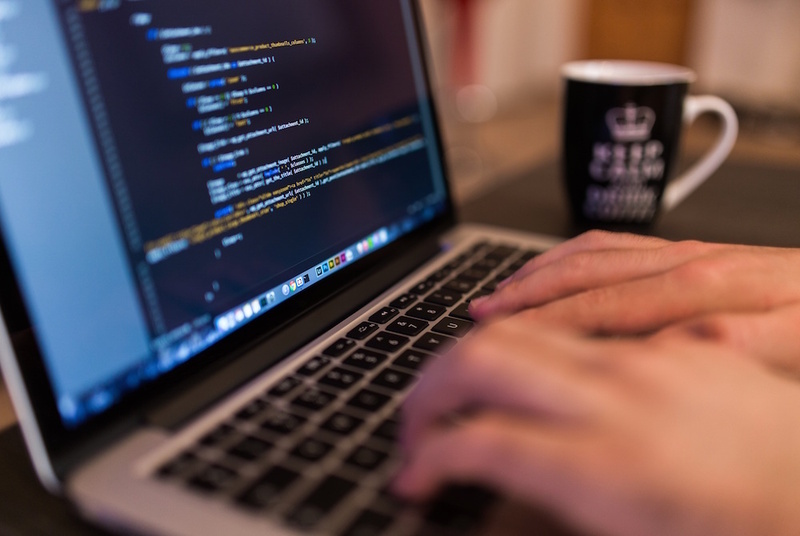 If you are a library, church, or other community organization, consider hosting your own Hour of Code (you can sign up on the site). Every child should have the opportunity to learn about how the internet works. However, sadly few schools, still offer adequate Computer Science courses or STEM-career focused activities. STEM, specifically in technology, has the greatest ability to level the playing field. In addition, to Hour of Code, consider the other activities you can integrate in the classroom and start in your community to spark that passion for technology and computer science. Connect with startups, co-working spaces, incubators, and libraries in your community to discuss having a “Fair Style” event. Software engineers and educators can come together to host creative booths that include a combination of ‘unplugged computer science activities’ and online activities. If you host at a local school or library, many have iPads or laptops that can be used at different stations to demo different applications and websites that teach children programming. Even if they children participating only get to briefly test what building an application would be, the bigger benefit here is educating the parents about the tools and resources that are available for their children to use. We often neglect the extent to how much computer science touches our lives. Even within performing arts, sound technicians and light technicians are using computers! Imagine how cool it would be for a child who loves the performing arts to be able to create and/or record his or her own mini-light show to their favorite song at one of the booths! Try to bring in a variety of engineers to demonstrate the variety of CS careers! Can’t find a sound engineer for your CSED Fair to come in to show how she mixes music? Still continue to build upon the idea that Computer Science goes beyond the computer and writing code. Integrate unplugged and offline CSED activities in other classes and subjects. In a performing arts class, discuss the engineering careers and program a light show to your favorite song. 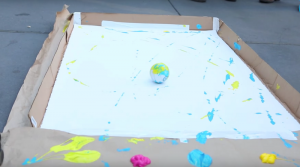 If you have access to Spheros, we have compiled fun classroom activities with Sphero. Check out all of the Computer Science activities that you can do unplugged (all of which are great booth ideas for your CSED Fair too.) A fun activity for a math class could be writing codes and secret messages in binary to allow students to better understand how a computer processes information.